He fought for her. Now she must fight for him. Lorin, Prime of Arkos House, just wants to do his job and court his Sunny, High Lady Sagira Memeos. But a private meeting with the emperor reveals Essence, an illegal designer drug targeting Lokmane, is spreading to the edges of the Marcasian empire. Which threatens Lok'ma. Lorin takes his private war public--and puts those he loves in danger. Sunny isn’t sure Lorin’s war is a good idea. Especially since he’s asked her to be a daro ally in the Marcasian Lords’ Chamber. It puts a giant target on her sisters. When Lorin's war spills over into her personal life and her house is broken into, backing away from him is the only answer she can find. When Lorin is shot, then kidnapped from a public place, Sunny must accept her societal position and go on record as a Lokmane rights supporter. 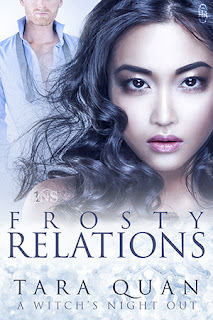 But taking a stand puts her future with Lorin—as well as his life—in jeopardy. Choosing between love and loyalty might break them both. 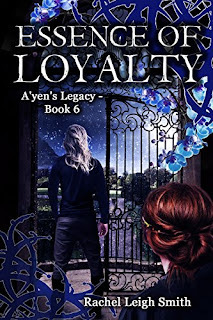 Rachel Leigh Smith's "Essence of Loyalty" is the sixth tale in the A'yen's Legacy series, but you could read it as a standalone. As always, there is a full ensemble cast and amazing storytelling. 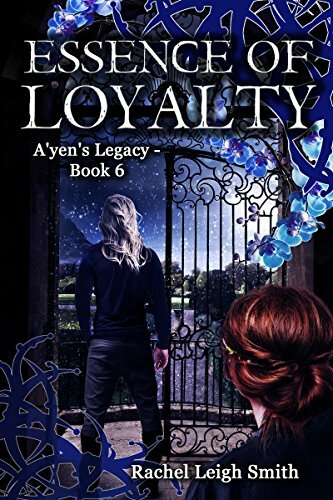 Sunny and Lorin each have their past and their duties working against them. Such a detailed story and a great overarching storyline. Such an interesting universe, with different plot elements than anything I've ever seen before. I can't wait to read what comes next!